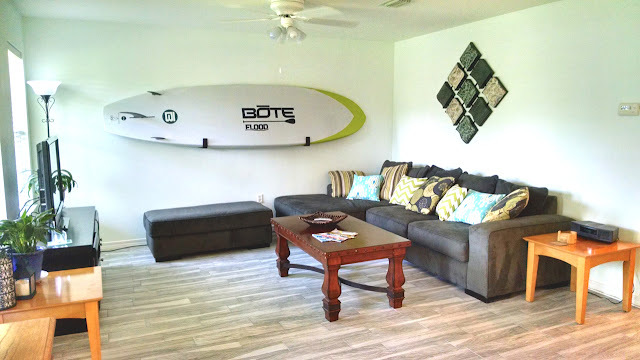 Check out some of the latest photos we've received from satisfied customers of StoreYourBoard.com who are using our paddleboard racks to store their SUPs all over the place, on ceiling racks, in their garages, in their bedrooms, outside - everywhere really. Naked SUP Rack: If you're looking for the best minimalist paddleboard rack, you just found it. This rack is a top seller because of it's simplicity and functionality - the rack is hardly visible. 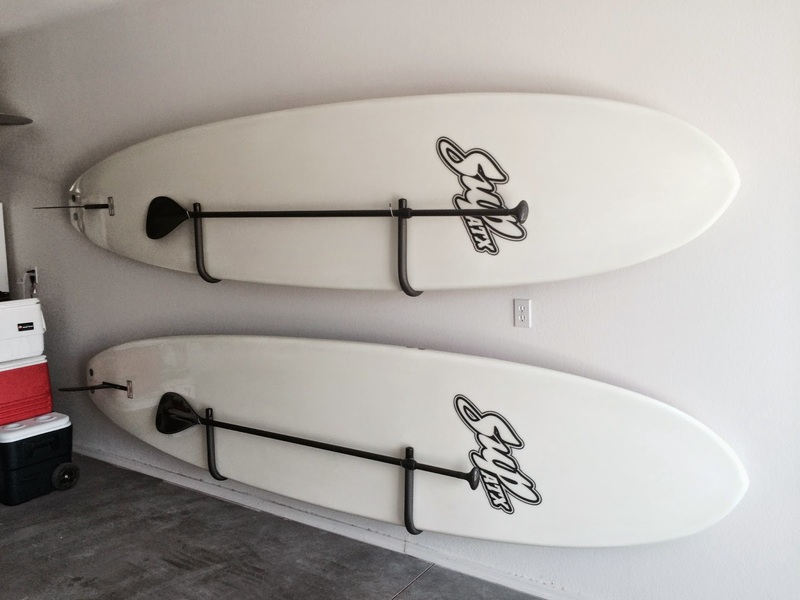 The Naked SUP rack looks great whether you're storing your paddleboard in your garage or showing it off in your family or other room inside your house. Does your paddleboard have a sharp color scheme or awesome graphics? 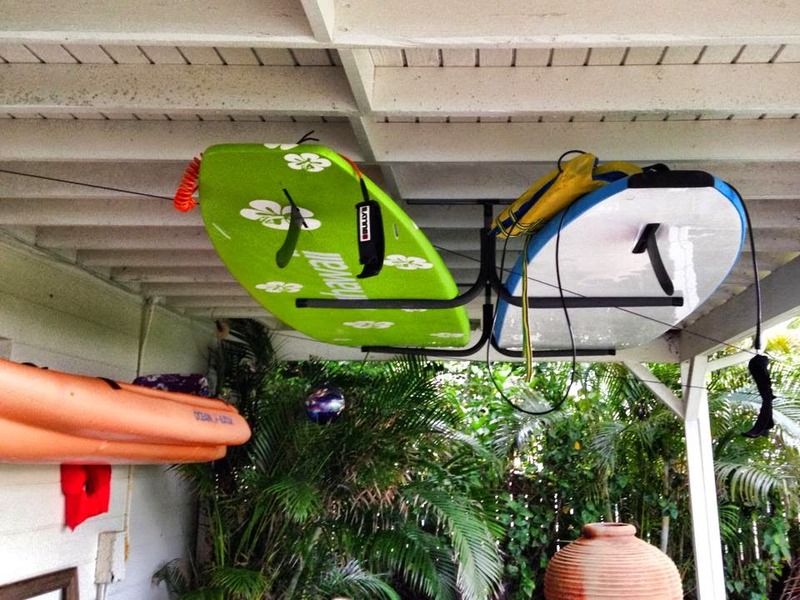 Show that off while you're storing your board with the Naked SUP Rack. Triple SUP Rack: this SUP rack is built in the USA from Birch and Ash hardwood with a 2" nylon strap. The nylon strap actually contacts the paddle board and forms around its rails and surface, conforming to your board without any pressure points and nowhere to scratch or ding your board. As you can see, there are three rack arms for storage for three paddleboards. Single SUP Hanger: (using 2 in this picture) can be mounted to store your SUP either horizontally or vertically. 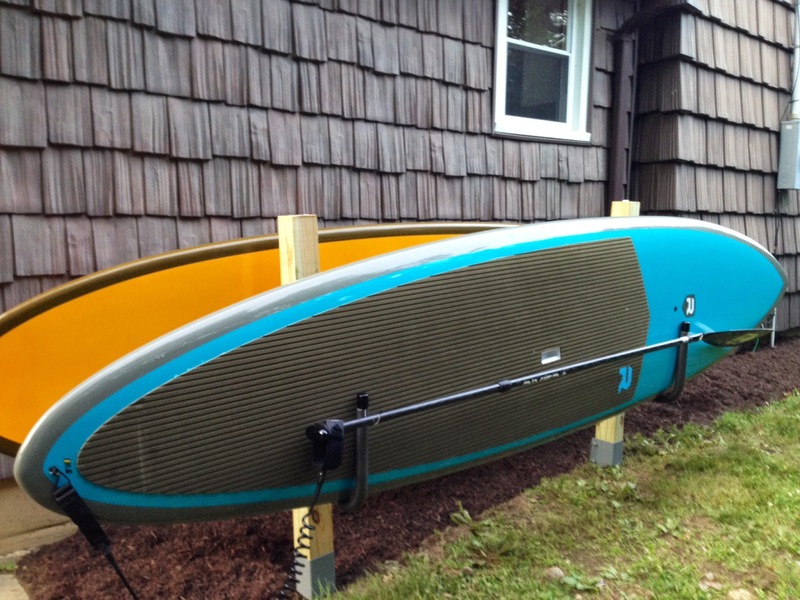 Store your standup paddleboard pretty much anywhere! Garage, basement, apartment, bedroom, condo, dorm, mud room, living room, etc. The simple and compact design lets you store your SUP both efficiently and also shows off your SUP instead of the rack. The rack also has a useful hook on the front that will hold your paddle! 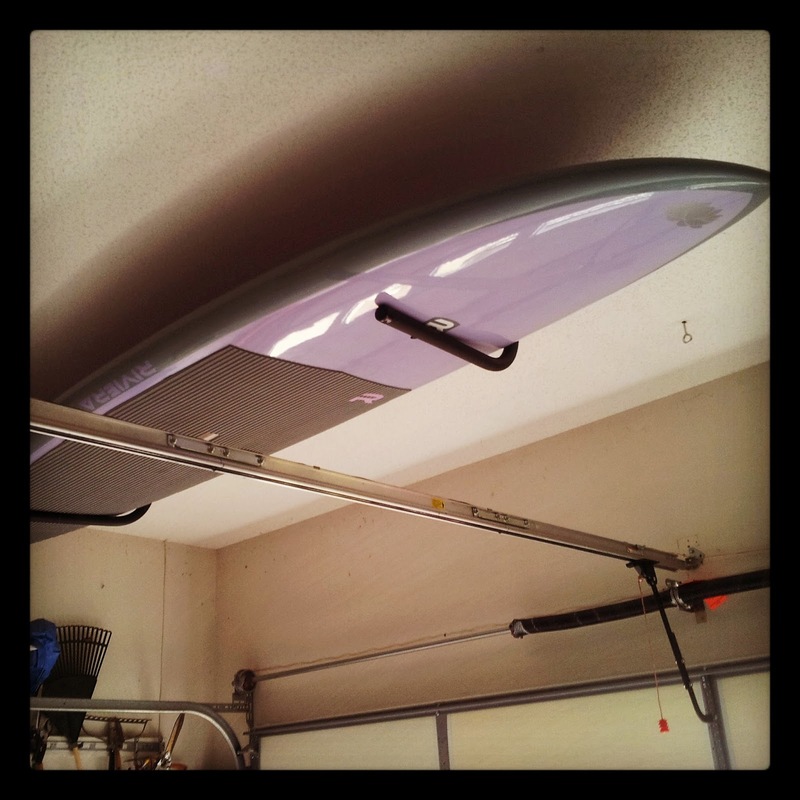 Double Paddleboard Ceiling Rack: this ceiling SUP rack is a great way to store your paddleboards out of the way in a secure spot. Paddle boards are pretty big and bulky and let's face it, without a SUP rack they take up a lot of space and are always in the way. 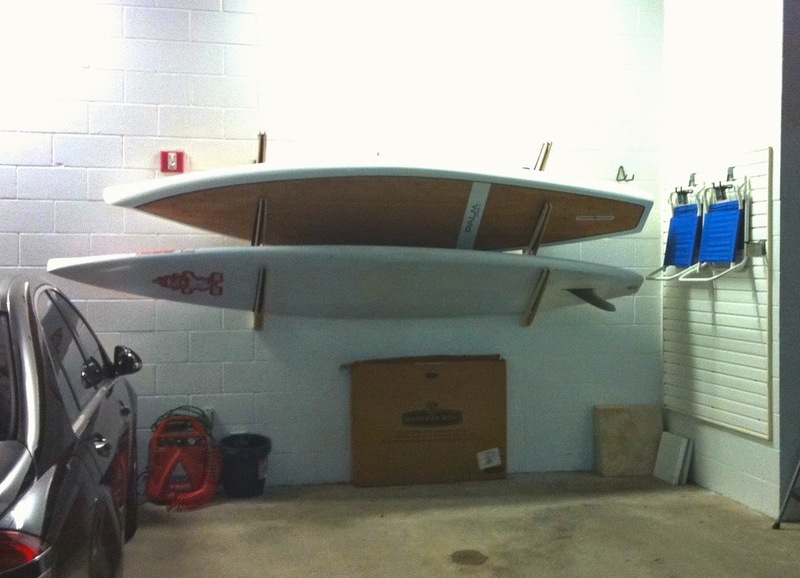 This ceiling rack lets you store your standup paddle board in the often un-used space over your head. The rack is made from ultra strong high strength steel tubing with a slight over-bend, meaning the rack ends point up just enough to make sure your SUP doesn't fall out of the rack.